The bitter fruits of counter-revolution in central and eastern Europe. Twenty-five years on, we salute the heroes of the great coal strike and look at what the British working class can learn from their example. ‘Credit crunch’ or capitalist crisis? Unemployment, the profit system and the power of euphemism. Challenged on every front, ‘smart power’ cannot save US imperialism. Pakistan must abandon the role of US proxy if it is to avoid falling off the precipice. A wave of student occupations in solidarity with the people of Gaza has been rejuvenating student politics in universities all over Britain. Taking a stand for Palestine – there is no alternative! Letter written by a CPGB-ML comrade to the Vice Chancellor of Manchester University in support of the student occupation there. A case study in neo-colonialism. 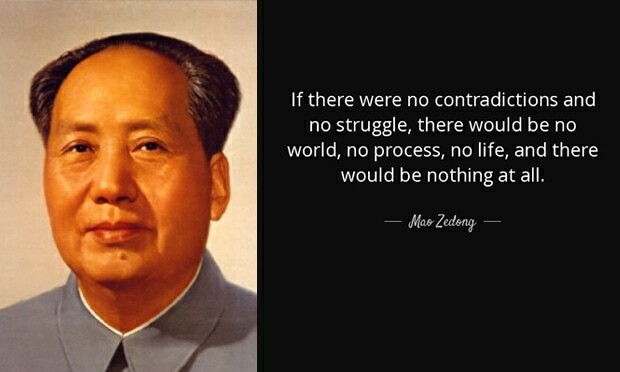 A masterly exposition of how to use dialectics to change the world, by the leader of the Chinese revolution. Resisting war crimes is not a crime! Overproduction crisis hits the international freight market.